Yunnan opened a local snack promotion activity on Nov 8 to decide on the best treats of Yunnan's different autonomous prefectures. The activity, organized by a local new media digital platform, a cultural mass media company and Yunnan's cuisine association, aims to publicize characteristic dishes of Yunnan's eight ethnic groups including Xishuangbanna Dai autonomous prefecture and Diqing Tibetan autonomous region. Yunnan's ethnic groups differ in many ways, including diet habits. Weishan county of Dali Bai autonomous region, for instance, is well-known for its single noodle offering, symbolizing a long life. 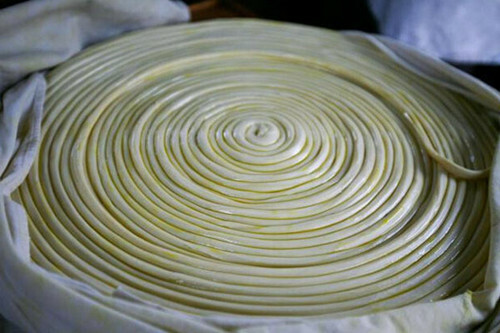 Weishan even made a 1,704-meter noodle for its 2011 food festival and broke a Guinness World Record.